“Imagine a world where companies motivate and manage employees who never set foot in their corporate office.” – the 2020 Intuit report starts. What an opening statement – and a statement that is becoming more and more of a reality every year. Coworking spaces are a rapidly growing feature of modern cities and since 2006, the number of coworking spaces have roughly doubled each year. Technology is empowering us like never before and in this article we’re going to cover what exactly is coworking, the benefits and the different types of coworking spaces available. Coworking is a style of work that involves a shared working environment, often an office, and independent activity. Unlike in a typical office environment, those coworking are usually not employed by the same organization. The idea of a coworking space is pretty simple: independent professionals and those with workplace flexibility work better together than they do alone. Coworking spaces are all about building a sense of community and productivity. 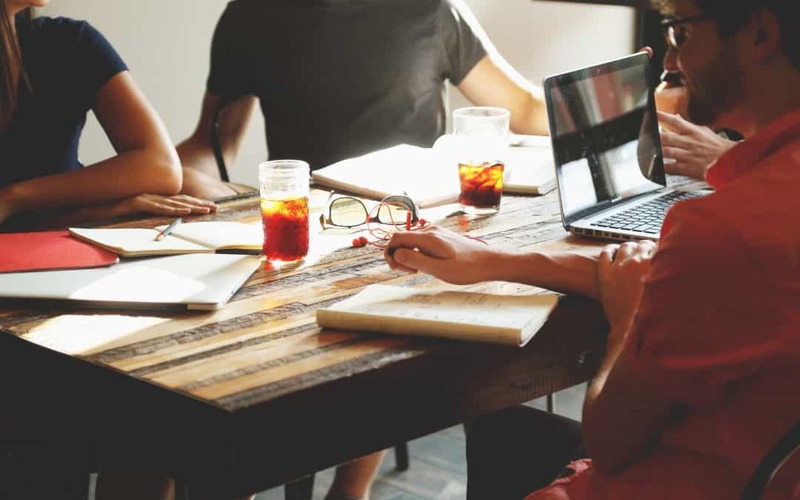 Whilst individuals tend to work alone, coworking is very much about the social gathering of a group people who share values and who are interested in the synergy that can happen by working alongside other talented, creative and high-achieving individuals. It also offers a great solution to the problem of isolation that many freelancers and solo-preneurs experience whilst working for themselves. What kind of people are using coworking spaces? One of the main, if not most common, users of coworking spaces are freelancers. According to Forbes, it’s projected that by 2020 40% of America’s workforce will be freelance. In today’s society, that seems like an insanely large number of independent workers but it just goes to show how much the job market is changing. So why might a coworking office space appeal to freelancers? Well, going freelance means workers loose their infrastructure including social infrastructure as well as physical infrastructure. 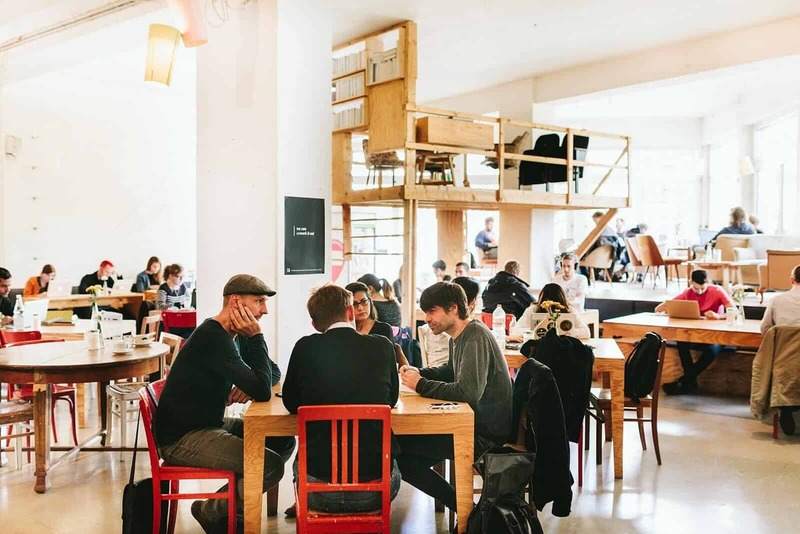 As society shifts and loses that infrastructure, coworking spaces provide that net of structure, social interaction and connectivity. Many startups or small businesses are beyond the point where they can work in their homes, but are not ready to sign that lease yet. Co-working spaces offer them a professional office where they can work, meet with clients and make connections to grow and run their business. 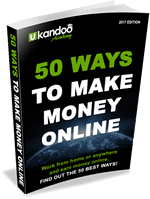 With today’s global economy, there has been upsurge in the number of remote employees. Unlike freelancers, who generally have more leeway with their time since they choose their hours/projects they take on, remote employees work very much the same as any normal employee would. They are hired by a company, are expected to work the same number of hours – just not under the same roof. Hence, coworking spaces offer a brilliant framework for remote employees. They provide much needed structure as well as a sense of community that’s hard to arrange when your team mates live in different cities, states or countries. The benefits of coworking: What makes coworking so appealing? If you haven’t figured by now, there seems to be something rather special about coworking spaces. So what makes them so appealing? There seems to be a general agreement that a coworking space offers much more than simply your everyday workplace. What’s more, multiple studies have shown that people who belong to coworking spaces on average score a whole point higher in ‘work satisfaction’ and ‘thriving’ than those who work in regular office jobs. This most likely has a lot to do with the type of people coworking spaces attract, as people who use coworking spaces also report to see their work as more meaningful. That being said, there are a lot more practical and concrete reasons as to why someone may choose to use a coworking space over a traditional office, home-based office or coffee shop. Community – Coworking spaces provide a community of like-minded individuals, the opportunity to make new friends and provide that very much needed social interaction that independent entrepreneurs crave. Work-Life Balance – For many freelancers, one of the hardest things to manage is the work-life balance. Without regular office hours it can be hard sometimes to remember to switch off. Conversely, many offices tend to have a phenomenon of “all work no play” and so coworking spaces are great as the promote a work-life balance in being both a place of productivity and areas to de-stress and socialize. Productivity – Coworking spaces can be a great place to boost your productivity! Without having a boss to keep you in check, or a 9 to 5 schedule it can be all too easy to get distracted, wake up late and a waste a day. Coworking spaces help provide some much needed structure and discipline. Networking Opportunities – Using a coworking with space comes with the perk of being surrounded by similar-minded, motivated and talented individuals. Not only is it great for making new friends and acquaintances in similar fields, but it also provides a great opportunity for you to find new clients, collaborate on new ventures or utilize other people’s skill-sets. Cheaper Than Renting an Office – This one is pretty obvious, but we have to put in there. If you’re a startup, coworking spaces offer freelance and entrepreneurs a chance to work in a fully equipped office without having to worry about the cost of setting up and renting an actual office. Safe and Reliable – Coworking spaces offer a reliable work environment where you can feel safe and comfortable. Unlike coffee shops where it can be loud and lacking privacy, a coworking space allows you to put your mind at ease and focus on getting your job done. With a coworking space you don’t have to fret about finding good WiFi, the right amenities, a quiet corner or safe-guarding your belongings. What type of coworking space suits you best? Whilst ‘coworking’ as a term is rather generalised, most coworking spaces can be fit into two categories: pay-as-you-go and memberships. Pay-as-you-go or paying upfront is pretty self-explanatory. These are super useful for the average freelancer, digital nomad or remote employee who is always on the go jumping from one coworking space to the next. You simply pay for your space everytime you go. Membership coworking spaces are great for more permanent users, such as your remote employees or startup businesses and usually comes with a few extra bonuses such as your own designated workspace, locker and so on. 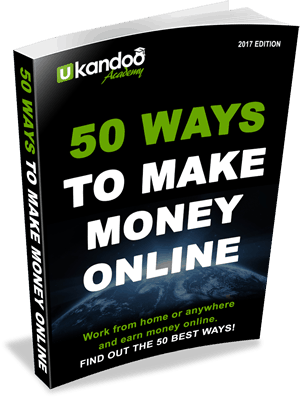 What’s more, like most membership schemes, it usually works out to be considerably cheaper if you’re a regular user. Most coworking spaces offer both services, but it’s always useful to check. Along with small independent coworking spaces, there are plenty of global coworking companies, with multiple offices in different cities, states and countries! Becoming a member can prove to be extremely useful if you travel a lot, as many of these companies offer a ‘global membership’ enabling you to check-in and use their offices no matter where you are in the world. With the mission statement “to create a world where people work to make a life, not just a living”, WeWork is now the world’s ninth riches startup, valued at $16 billion. Its modern offices mirroring the Silicon Valley-esque amenities such as arcade games and beer-on-tap, selling the promise that work can be at once productive, social and fun. 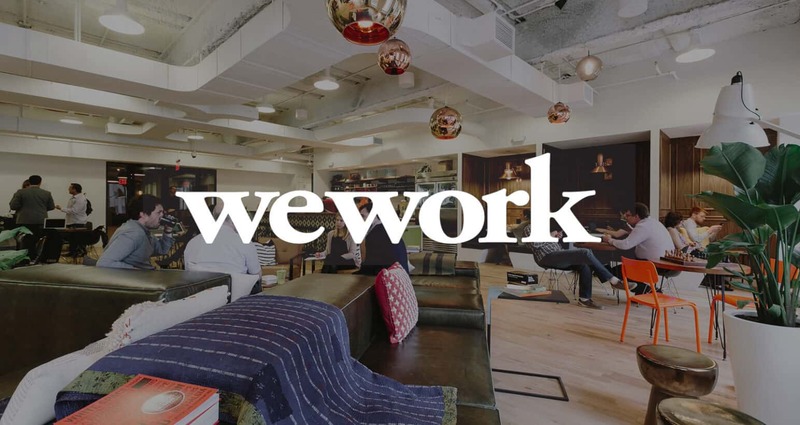 WeWork was created in 2010 by Neumann and Miguel McKelvey prides itself on being “The Community of Creators”. 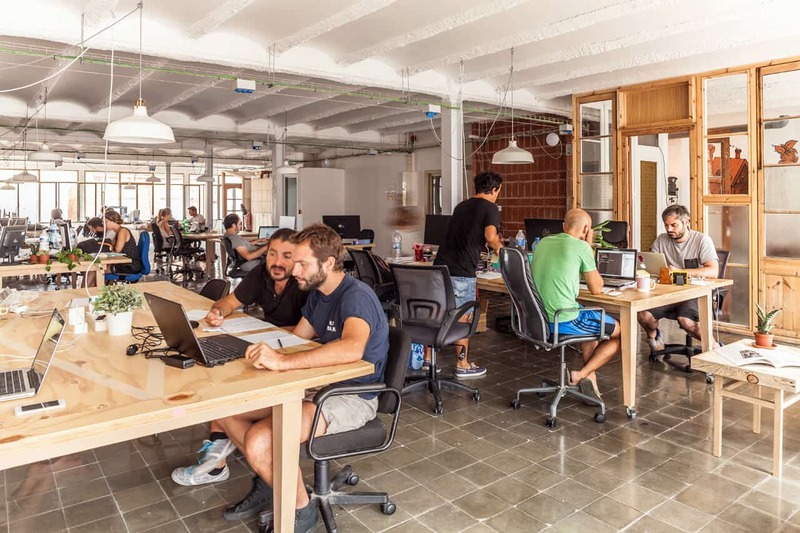 It’s one of the most successful coworking companies, with 54 coworking locations across the globe as of Decemeber, 2015 – more than double that of 2014. Today, their plans are to place coworking locations on every continent by 2017. 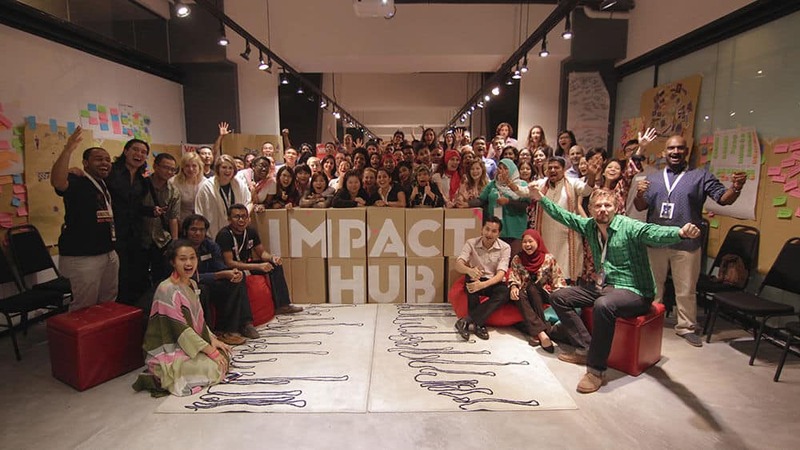 Impact Hub is another notorious coworking community, with over 15,000 members in 80+ locations. The first Impact Hub was opened in central London in 2005 where it is still open and active today! It’s pretty evident that coworking isn’t going anywhere. Unlike a lot of modern innovations that all too quickly rise and fall, coworking a trend that’s here for the long run. With the number of coworking spaces roughly doubling each year since 2006, it’s fair to say that this new way of shared, open, community-based workspaces is definitely going to play a considerably role in shaping how we work in the future.